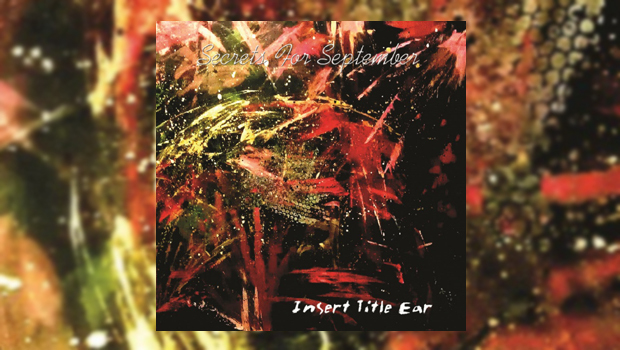 Secrets for September – Insert. Title. Ear. In real terms this is their first full album, there have been little bits and pieces out previously but according to the blurb, this is their debut album release. The opening track, for want of a better description, is a little ‘Funk Floyd’, Pink replaced by a solid bass line, swirling distorted guitars allowing Ellie Taylor to rest her vocal cords for the second track, the sublimely named The Man from Torquay (hardly the rock capitol of the world, but it did produce Wishbone Ash and current prospective darlings, Reigning Days – who are actually very good). The album was produced via funding raised through PledgeMusic, just one of the fundraising websites that help bands to raise cash for studio time (Marillion use them and Fractal Mirror have been trying to!). The track takes its title from a man they met in a pub on a cold winters night. Yes, sometimes the stories behind the titles are that simple. If I Need has more of the those Floydian rhythms with Ellie’s vocal giving both contrast and direction – and something else; it is a little more gutsy than I have come to expect of Floyd of late. The vocal style I would put in the realm of folk rock – Grace Slick, Sandy Denny and Maddy Prior when she lets loose. It is a foot tapper, again with a nice solid bass. Not disappointed so far. I try not to do track by track breakdowns of albums – if you like it, you will make your own choice – but there are only seven tracks here and I ramble enough so will stick to the script. The pace drops a little on track 4, You Make Me Me, a heartfelt love song featuring nice keyboards with a gentle guitar accompaniment. The change of rhythm is a bit of a surprise, and it’s position at the centre of the album seems a little strange, but other than that I can’t really fault it as it fades with the sound of pouring rain (that could have been recorded in my kitchen this winter!). The tempo rises again on Life’s Too Short, a little bit of R&B in the traditional sense and a rather jaunty little tune, well played and well sung. The tootsies moved a little with the music, so all in all, very nice. Life is indeed short, and so is the track in this instance; shortest on the album with no solo to speak of. I did like it though. Two left and Reflections is unlike Pink Floyd but it does drive along nicely. I try not to sing along as without the aid of nutcrackers I am not going to be able to hit Ellie’s notes. There are some great riffs in this track and it is a favourite. Actually, I have difficulty with choosing a favourite as each track has been on repeat as I come to terms with the nuances. Finally, Friends Forever with its Bowiesque introduction and strings provided by a keyboard. The pace drops and the closing track is strong and emotional, a fitting end for a very good album. I love this in a slightly darkened room, it’s that sort of music. Ending the track but starting halfway through, Matt North’s guitar solo is really quite sublime as it gets under your skin, complimented by Michael Soundy’s solid rhythm on drums. Matt gets in touch with his inner David Gilmore, until the sirens sound the all clear. I’m done, but I am going to play it all through again. In conclusion, buy it. Buy it and they can make another one! And Matt, some more of the Marillion touches next time please; I haven’t missed them but you do them so well. I did contribute to the PledgeMusic funding, but I gain in no way other than receiving a well-crafted album. I would recommend pledging and crowdfunding if you want to see one of your favourites get to produce an album. Insert. Title. Ear. will be available HERE shortly.